that someone special in your life would like them too. Let's get started! love them and hope to add more colors to my collection soon! Hint hint Santa. Boos boards are top notch in quality and craftsmanship! and Eli is perfect for those chilly days when only a sweatshirt will do. I LOVE mine! Hamilton Beach Party Crock. Cook and serve party food and dips in this adorable crock. 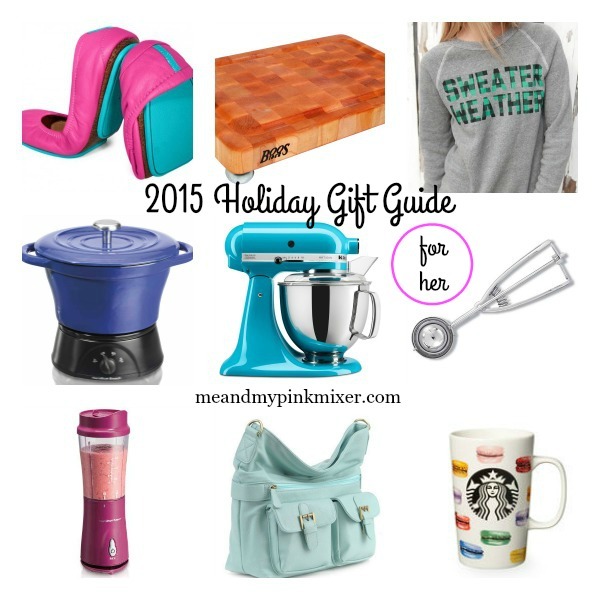 my pink stand mixer and I think everyone should have one! all of the time. It's great for cupcakes, muffins, cookies and more. your camera and accessories and look good doing it. Starbucks Mug. I have a coffee mug addiction and love the new holiday collection. Who wouldn't want a cute coffee mug!